Help us wake up the bear this first Thursday back after hibernation.  We'll have a fridge full of new beer as a warm up for the 35th Luton Beer Festival (15-17 Feb) of which The Bear Club is a proud sponsor. 5.30-11.30pm. A brand new Jazz funk outfit featuring some of the top Jazz/ Funk/ Session players in the UK. Together they have developed a tight, distinctive, funky jazz sound with a contemporary twist. The band was conceived by well known and highly rated alto / soprano saxophonist Christian Brewer and features the extraordinary talents of legendary guitarist Jim Mullen. Famous for his Jazz funk band Morrissey Mullen that dominated the UK scene in the 80's. Keyboardist /pianist Mike Gorman is a high profile jazz and session musician on the UK scene having worked with Incognito,Van Morrison, Boy George. The backbone of the band features the rock solid Bass and Drums team of Ernie McKone and Crispin Taylor. These two heavyweights are highly renowned, and between them have played and toured with people such as Galliano, Paul Weller, Seal, Zero 7, The Funk Brothers, Marva Whitney, The Blockheads, Carleen Anderson and a veritable who's who of the UK's Soul and Funk scene. Brewers Crew have recently supported Incognito for a sold out week at Ronnie Scott's to a rapturous reception. Smokey nightclub blues with a contemporary twist. Kat & Co are an eclectic quintet that share stories and sounds of ordinary cosmopolitan life. And with family traditions rooted in the cotton fields of rural Tennessee, Kathleen Pearson (lead vocals) is the real deal. It was in the heart of London that she went looking for Blues of the 21st Century. We continue our warm up for the 35th Luton Beer Festival (15-17 Feb) of which The Bear Club is a proud sponsor. 5.30-11.30pm.